Enable a clearer visualization of the plan by using color-coded sticky notes (the plan is shown on one large board with several tasks on the same horizontal level rather than a Gantt chart spanning multiple pages). The next logical step in the continuous improvement process would be to gradually introduce 4D virtual construction to pull planning sessions in a way that leverages the above mentioned key factors. This article will describe how this can be achieved through different phases so that the disruption of the workflows already in place is minimized and the learning curve of the participants is taken into consideration. 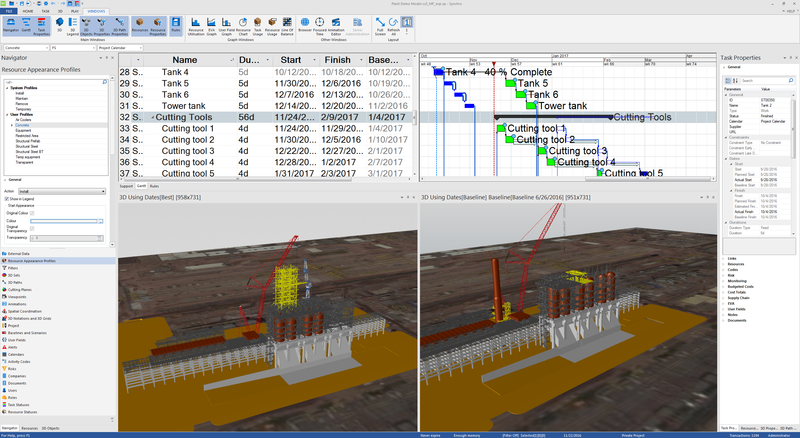 In phase I, it is not recommended to use a 4D software package live during the pull sessions because the necessary expertise has not yet been developed and this may disengage some of the trades from the collaborative process. The team should continue using their traditional pull planning method for the first session of each phase. However, after that first session, the pull plan should be integrated with the 3D models to form a 4D virtual construction animation that will be shown at the beginning of the next session. The animated construction sequence generated from the previous pull session should serve at a visual starting point for the optimization and further detailing of the pull plan. This will start a cycle where each pull session includes a 4D component as well as a smoother traditional pull planning process enabled by a clearer visual understanding of the challenges at hand because of that starting 4D component (see figure below). Before jumping into this phase, the team will need to make sure they have the following available: A high caliber 4D planning software system such as Synchro PRO, an expert user of that software system (we will refer to this person as the 4D driver), and a functioning projection system or large screen visible to all the participants of the session. In this phase, the team will be carrying out the pull planning session while the 4D driver adjusts the model to reflect the sequence portrayed by the sticky notes on the board. At specified intervals, the team will pause and review the animation to validate the sequence as they are building it and make sure that everyone is on the same page. Side-by-side animations showing: the baseline sequence as predicted in the last pull session on one side vs the sequence as planned in the current session on the other, can be played so that the team better understands the changes that are happening on the project and how to manage them. Note: The 4D driver should not be the same person who is leading the meeting. They should solely focus on transcribing the pull plan, making it visual and paying attention to possible challenges (temporary works, laydown areas, etc.) during the entire session. When everyone in the team becomes comfortable with the 4D virtual construction processes, innovative companies can start looking to improve their process by implementing an integrated solution. For example, Synchro Software’s API allows schedule data to be read or set from other applications. 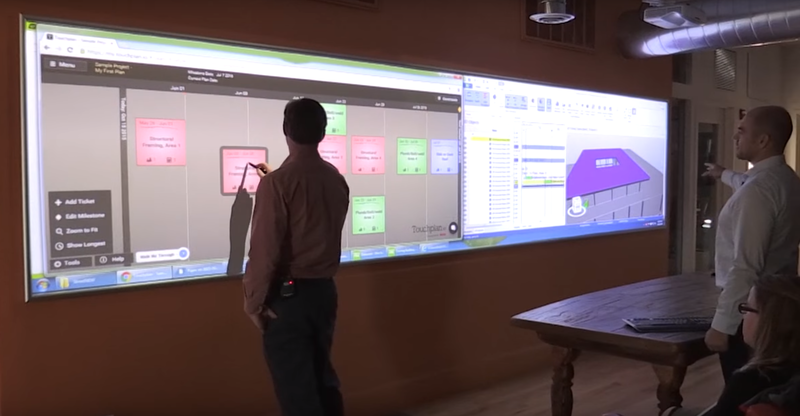 This enables companies to integrate the 4D model with a system that includes a collaborative pull planning iPad application and a large digital display monitor to completely replace physical sticky notes. The pull plan will be directly fed into the 4D model and the participants can instantly validate the sequence they are building.